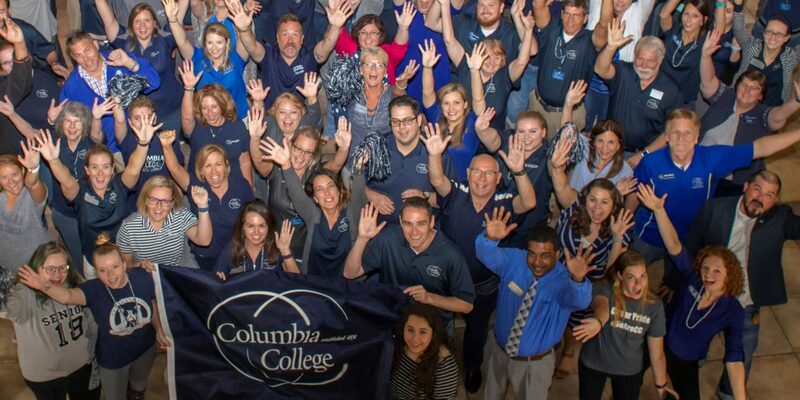 In addition to our students and alumni, our employees are some of Columbia College’s biggest and best assets. 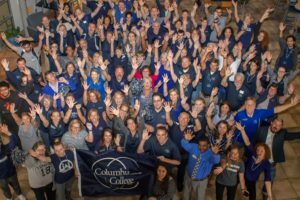 Below is the list of the employees who joined the college or transitioned positions during the month of January. Welcome to the new employees and congratulations to those who changed roles! 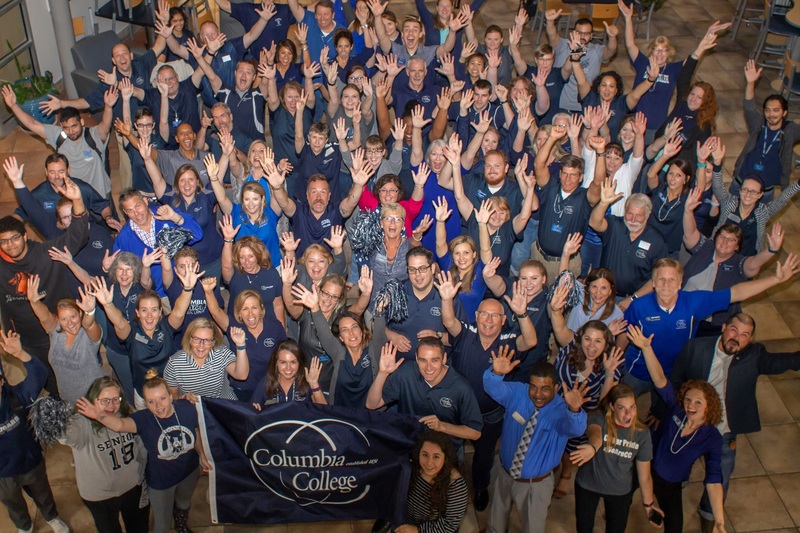 For a complete list of employment opportunities currently available, visit ccis.edu/jobs. Charles Leonard started as Academic Advisor I at the Ft. Drum, New York, location on Jan. 7, 2019. Jerone Lester started as Director for Residential Life in Student Affairs on Jan. 7, 2019. Kyle “Gunny” Milette started as Academic Advisor I at the Lake County, Illinois, location on Jan. 7, 2019. Rachel Mitchell started as Virtual Course Monitor–Part-Time at the San Diego, California, location on Jan. 7, 2019. Lauren Dickens started as Academic Advisor I at the Honolulu, Hawaii, location on Jan. 14, 2019. Nathan Ferguson started as Instructional Technologist in Online Education on Jan. 14, 2019. Luke Goeres started as Helpdesk Technician in Technology Services on Jan. 14, 2019. Jon Hardy started as Academic Advisor for the Evening Program on Jan. 21, 2019. Hannah Bilau started as Academic Advisor I in Online Student Services on Jan. 22, 2019. Doruk Hacioglu started as Head Coach-eSports in Athletics on Jan. 22, 2019. Candice Shea started as Project Specialist in Financial Aid on Jan. 22, 2019. Rochelle Roberts started as English Tutor–Part-Time at the Jefferson City, Missouri, location on Jan. 23, 2019. Denereth “Reth” Allen started as Custodian at the Rolla, Missouri, location on Jan. 28, 2019. Bibek Poudel started as Part-time Tutor–Seabrook Tutoring Services in Writing Center on Jan. 28, 2019. Terry “Joe” Bocklage started as Online Test Proctor in CCG – Civilian & Online on Jan. 31, 2019. Phillip Armellino will start as Financial Aid Specialist in Financial Aid Office on Feb. 4, 2019. Kolton James will start as Groundskeeper in Physical Plant on Feb. 4, 2019. Joshua Ramsey will start as Systems Operations Associate in Office of the Registrar on Feb. 4, 2019. Diana Slade will start as Student Support Assistant at the San Diego, California, location on Feb. 4, 2019. Melanie Arnold will start as SRM Coordinator in Admissions on Feb. 11, 2019. Charles Jones will start as Online Test Proctor-Part-time at the Lake of the Ozarks, Missouri, location on Feb. 25, 2019. Zach Warhover transitioned from Help Desk Analyst to Assistant Director of the Solution Center in Technology Services on Jan. 7, 2019. NextCC Biz Buzz: Tom Stauder – Is there a Death Tax?